I have had my Philips Iron for the last 10 years. I got it as a gift from a friend for my marriage and I have been using it constantly to iron my kids school uniform and their casual as well as formal clothes. 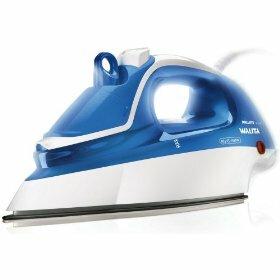 It gives a superb hassle free ironing in just few minutes. It is good on clothes, has a temperature control knob for different types of clothes like linen, synthetics, woollens and cottons. I can iron my kids school uniform every morning without any burns. As it is a steam iron it is also comfortable to use on heavy fabric like jeans and curtains.Just add a little water on the front knob and you get a good steam ironing.